Over the past four Edinburgh International Festivals, the young Russian pianist Daniil Trifonov has firmly established himself as a festival favourite. This year he returns as pianist-in-residence with three very different concerts over six days. At the age of just 25, Trifonov has an incredible record of brilliant performances to his name, whether as solo recitalist, concerto star, recording artist or chamber music with others. His Edinburgh appeal lies not only in that he can be heard in all of the above, but that the repertoire he plays covers a range of styles, from the virtuosic demands of Liszt and Rachmaninov to Brahms' take on Bach, and Beethoven's Piano Concerto No 1, written when the mighty master was pretty much the same age as Trifonov is now. 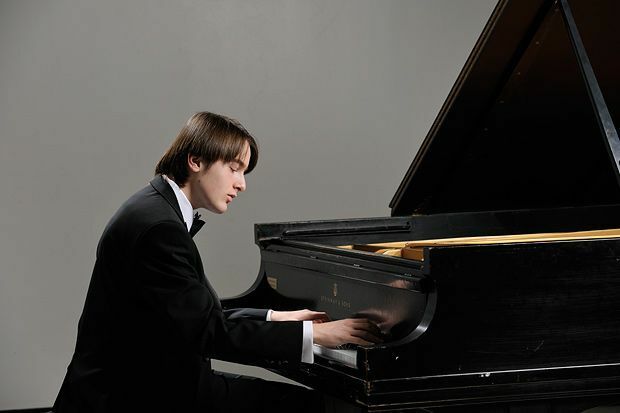 Starting to learn piano when he was five years old, Trifonov is widely hailed as one of the world's most exciting talents. While it will undoubtedly be thrilling to hear him in the Beethoven with the Swedish Radio Symphony Orchestra and on his own at the Usher Hall, it is the Queen's Hall morning concert with some rather high-powered musical friends, including his teacher/mentor Sergei Babayan and violinist Gidon Kremer, that promises something truly extraordinary. Usher Hall, 17 Aug, 8pm, £18.50–£20.50; Usher Hall, 19 Aug, 7pm, £25.50–£45 (£12.50–£25.50); Queen's Hall, 22 Aug, 11am, £9–£31.50.